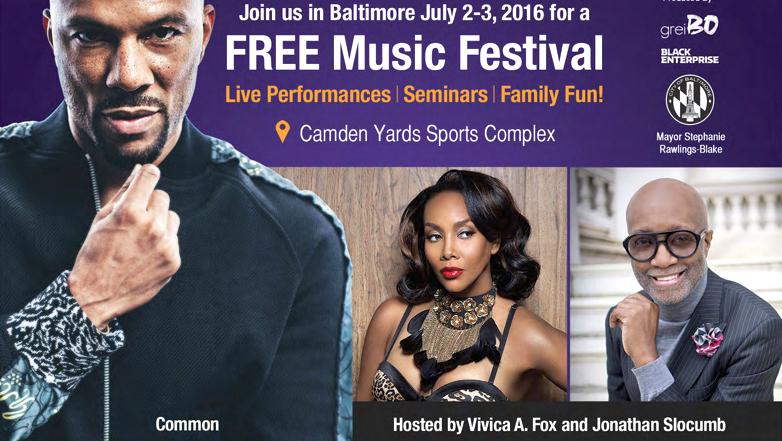 Above: LAST YEAR’S line-up of acts at the African American Festival. This year’s schedule of performers has not been announced. A downsizing of Baltimore’s African American Festival is in store under Mayor Catherine Pugh. The summer event, now entering its 43rd year, will be shortened from two days to one day and will be moved from the Camden Yards parking lot to Druid Hill Park. Confirming these changes yesterday, mayoral spokesman Anthony McCarthy also disclosed that the festival will be held on Saturday, August 12, or a month behind its typical debut. Still to be announced by City Hall are this year’s attractions and performers. All indications are that the city-funded festival, which bills itself as “the largest free cultural festival on the East Coast,” will be reduced in size and cost. 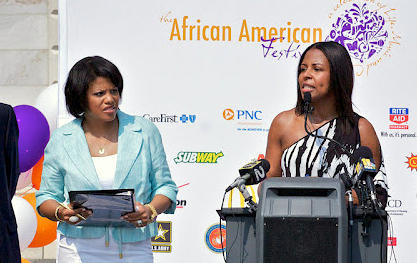 Under the aegis of former Mayor Stephanie Rawlings-Blake, the festival boasted a large budget for national music acts and expanded the number of motivational speakers and non-profits promoting health and wellness, employment services, empowerment and education. The mastermind of previous festivals, GreiBO K Designs run by Shelonda D. Stokes, was paid more than $2 million to design, promote and raise private funds for the two-day festival. GrieBO’s contract with the city ended December 31 and was not renewed. Stokes is informally involved in planning the upcoming festival, sources tell The Brew. Often called AFRAM, the festival differs from other local festivals in that it is not run by the Baltimore Office of Promotion and the Arts. BOPA produces over 60 events a year, including Artscape (the cityʼs largest festival), Baltimore Book Festival, and the New Yearʼs Eve and July 4th celebrations at the Inner Harbor. AFRAM comes under the umbrella of city ethnic festivals, and during the Rawlings-Blake years it maintained an advisory board freighted with City Hall campaign contributors, such as Columbia, Md., financier J.P. Grant, promoter of the ill-fated Baltimore Grand Prix, and “Demolition King” Pless B. Jones. Pugh reportedly blanched at the ballooning cost of the festival (under Rawlings-Blake, GreiBO’s yearly fees jumped from $300,000 to $535,000). She also believed that the event should be tailored more to Baltimore neighborhoods, sources said. In previous years, the mayor’s office had announced the list of festival performers and attractions by early spring. This year that date passed without any announcements or other information. Spokesman McCarthy said such details will be coming soon.